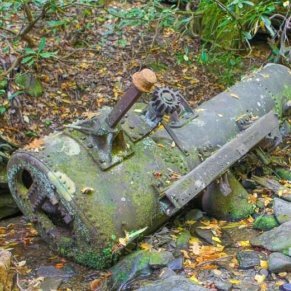 This moderately difficult four-mile roundtrip hike offers hikers a wooded hike with an old cemetery, creek views, historic buildings, and a 40-foot cascading waterfall. 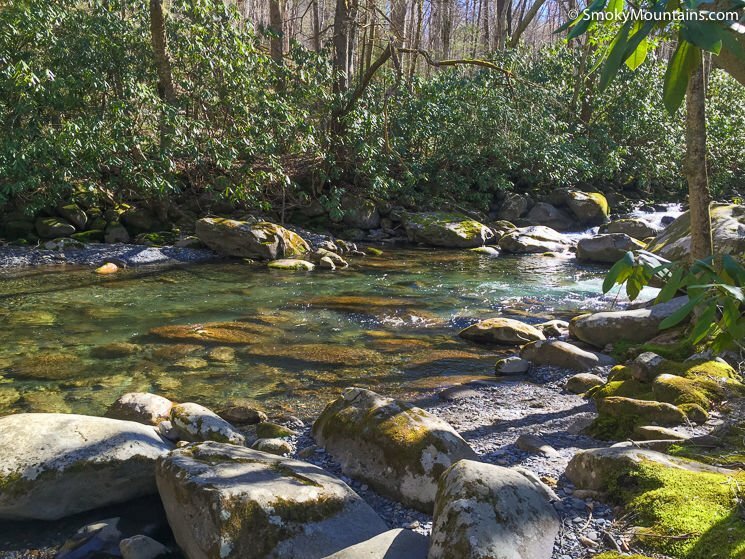 The lush and uncrowded setting makes it the perfect place to unwind. 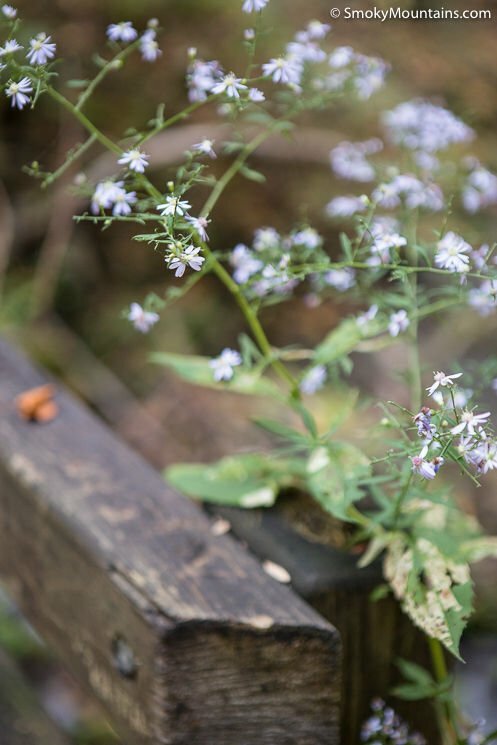 In addition, the wildflower viewing during springtime months is second-to-none. 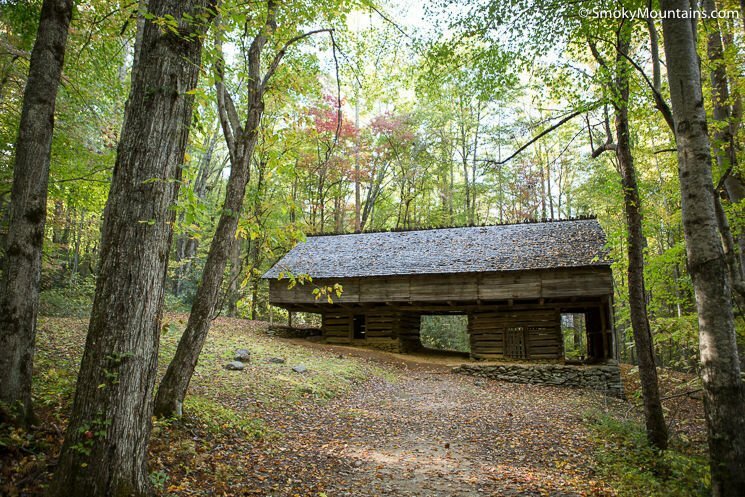 This serene hike offers plenty of vistas and history and is the perfect place to escape for an afternoon. 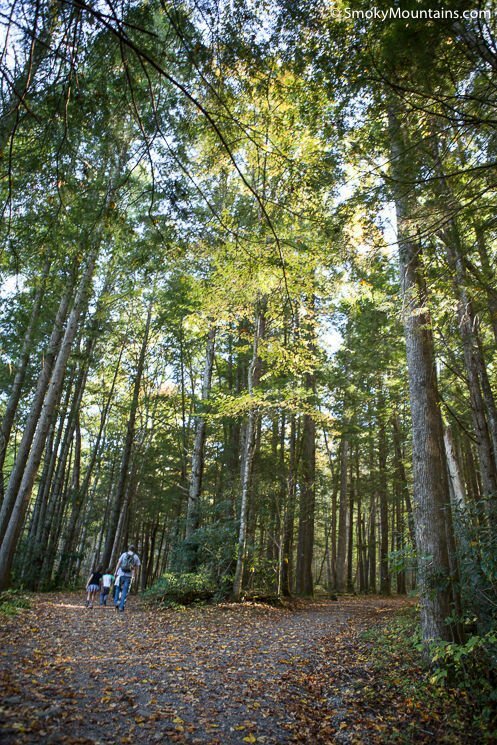 The Greenbrier section of the Great Smoky Mountains National Park is a hidden gem that is frequented by locals and experienced area tourists alike. 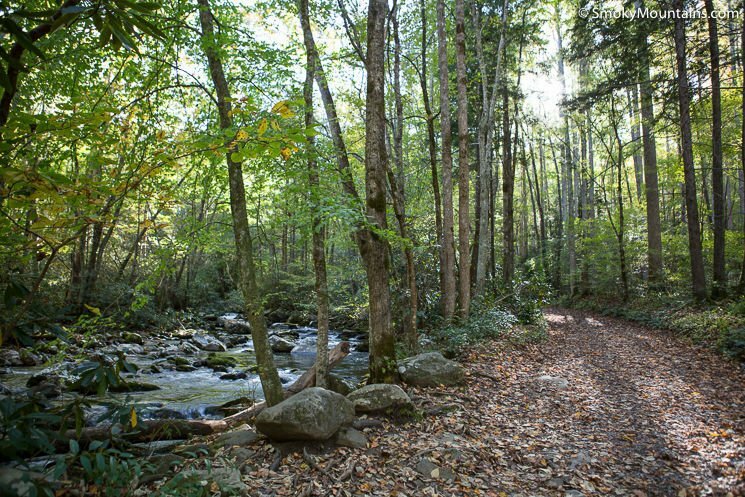 During busy season, this less traveled section of the park offers a serene escape located a mere six miles away from the hustle and bustle of downtown Gatlinburg. 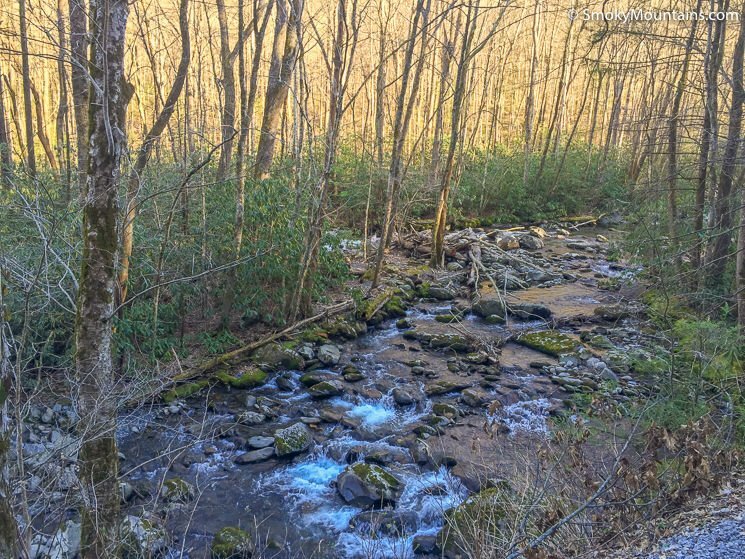 The Greenbrier area, which is at a lower elevation and remains open all year long, provides a great winter option when higher elevation roads are closed. 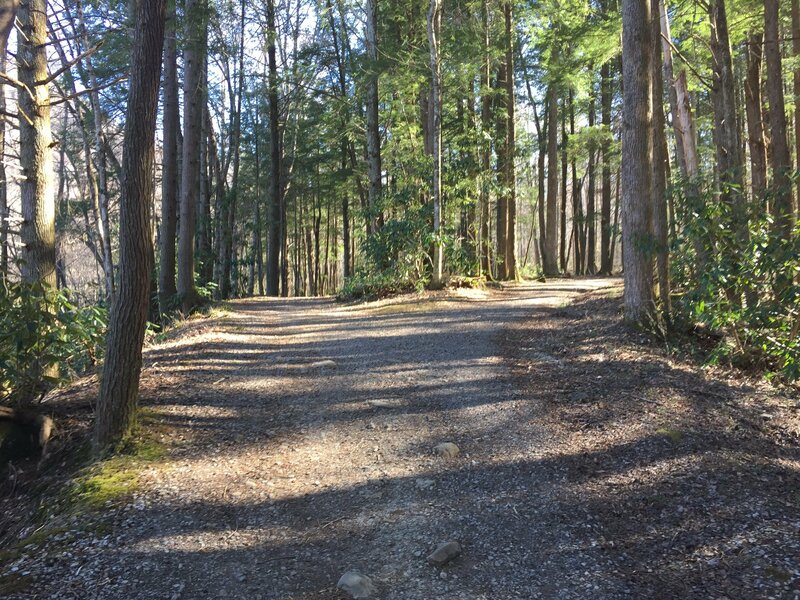 Once you reach the trailhead (directions below), you will see a gravel road just beyond a gate. The first mile of the hike is on this gravel road and meanders along the banks of Porters Creek. 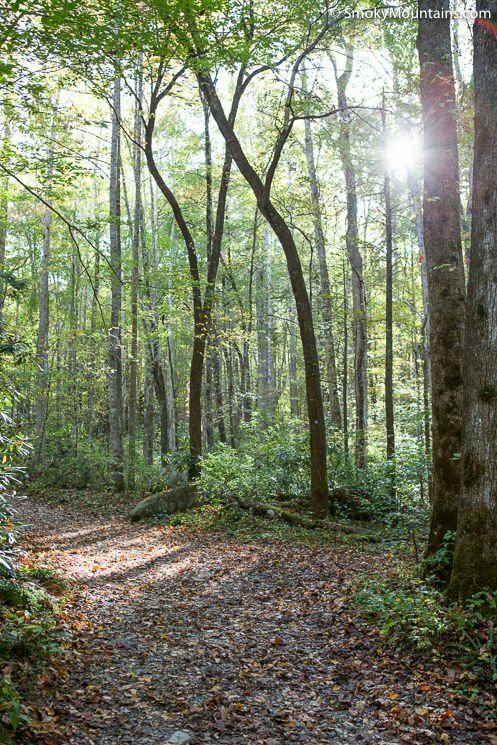 During this portion of the hike, you will enjoy a lush environment complete with rushing streams, moss covered rocks, and a thick canopy of trees. 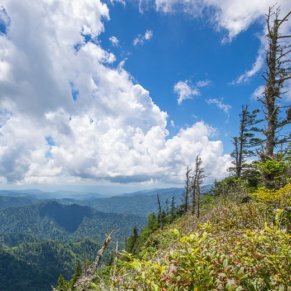 If you are fortunate enough to visit the Smoky Mountains during springtime, this portion of the trail offers some of the best wildflower viewing in the region. 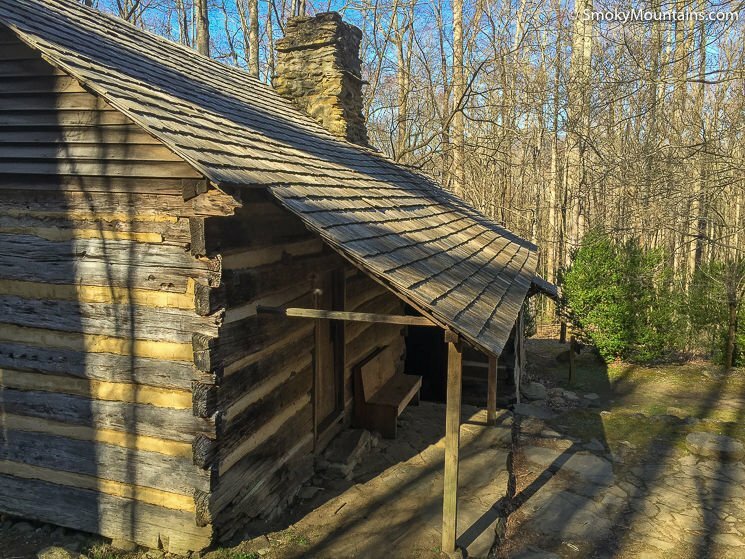 Approximately two-thirds of a mile from the trailhead you will see the remnants of the Elbert Cantrell farmstead on the right side. 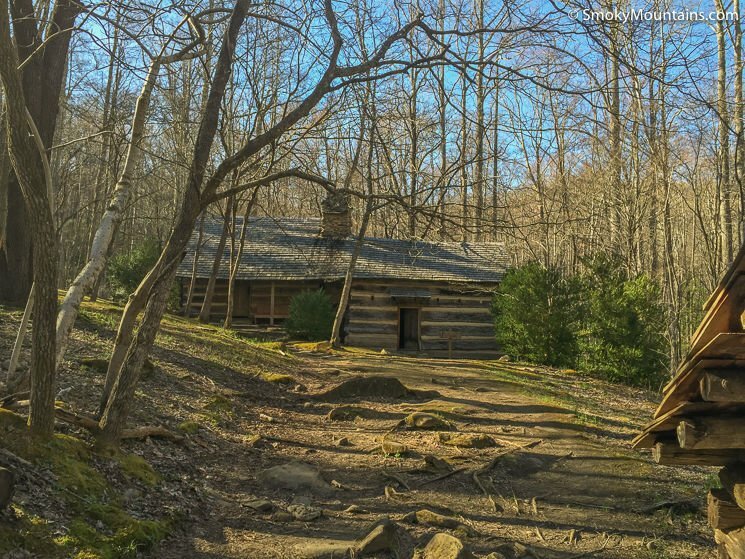 The farmstead, which is marked with old stone walls and rock formations, is where the Porters Creek community settled in the early 1900s. 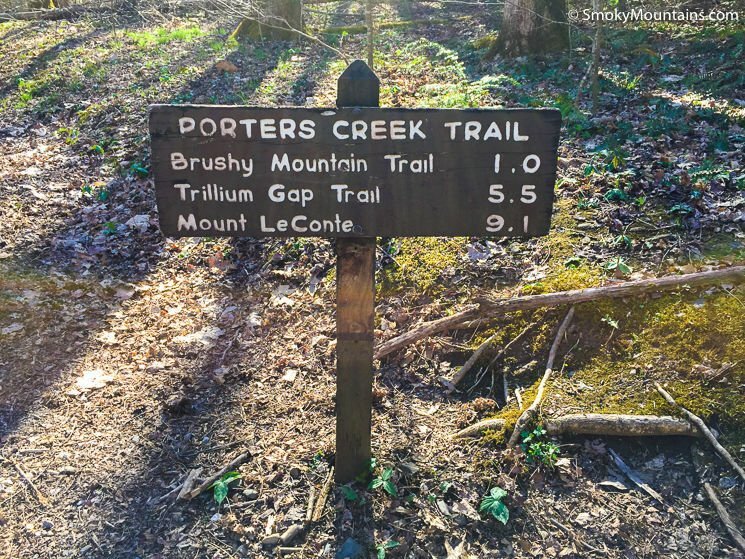 Due to the lack of a railroad servicing the Greenbrier area in the early 1900s, the Porters Creek Area remained small and largely uncommercialized. 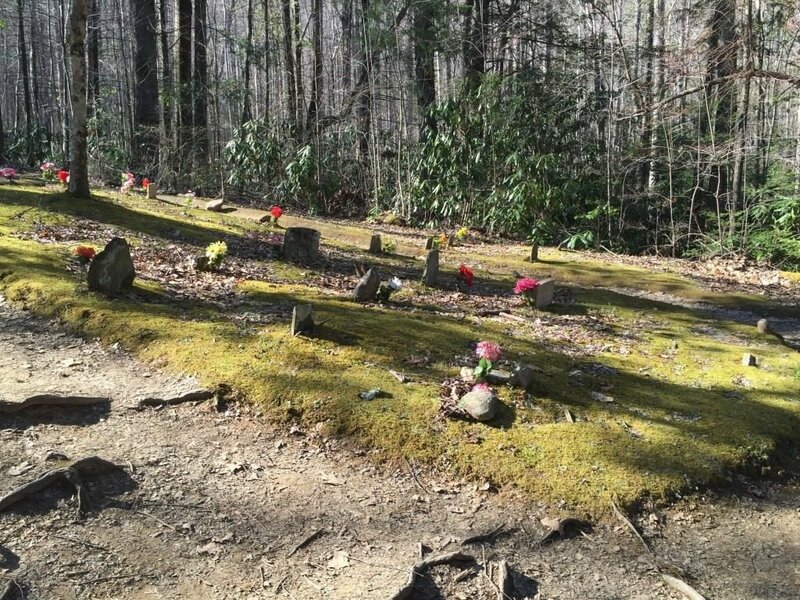 After passing the farmstead remnants, the Ownby Cemetery and its 23 graves can be found on the right side of the trail up a small set of stairs. 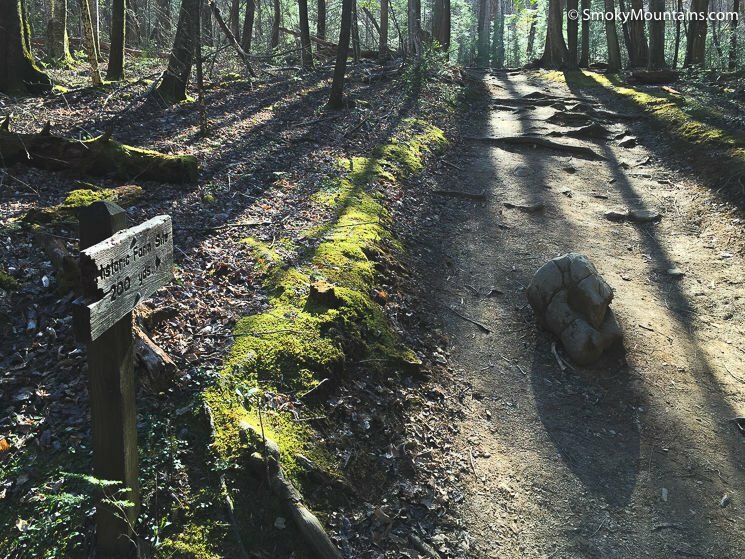 Approximately one mile into the hike, you will reach a fork in the trail. 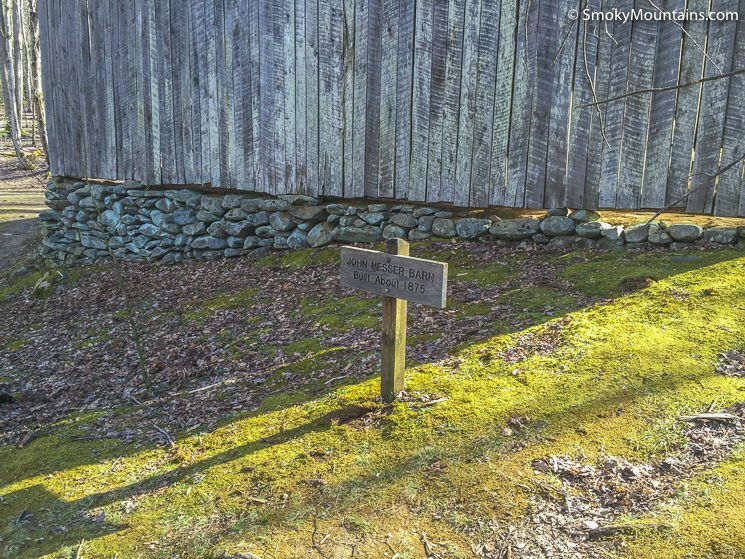 To take a short detour and visit the historic John Messer farm site, veer right and follow the trail approximately 350 yards. 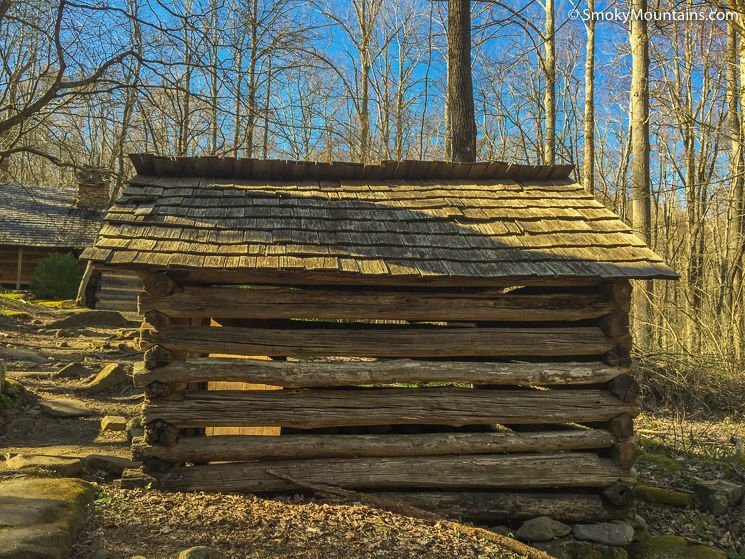 This historic area features John Whaley’s barn from 1875 and the Smoky Mountain Hiking Club’s cabin built in the mid 1930’s. 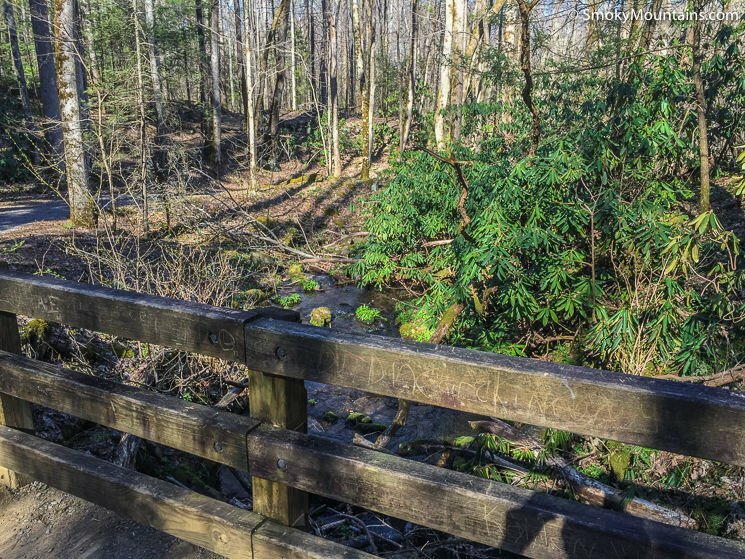 To continue to Fern Branch Falls, veer left at the fork in the trail. 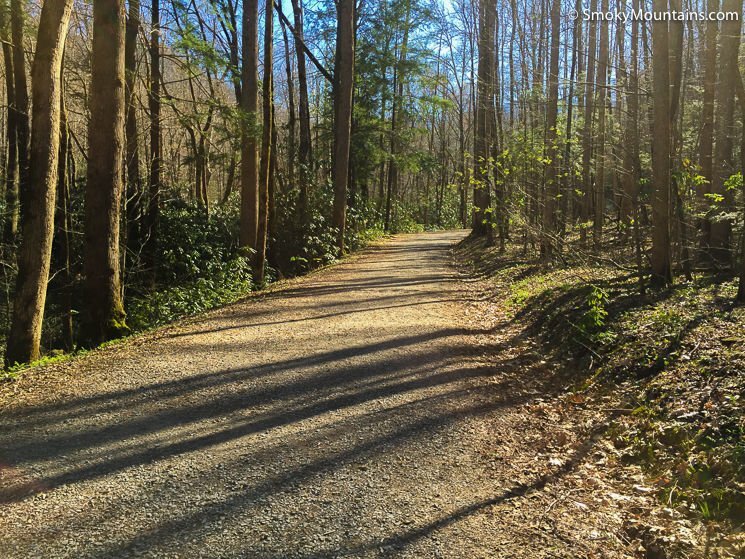 The gravel path and old road will begin to narrow down to a hiking trail once you pass the fork in the trail. 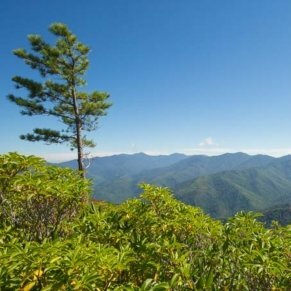 From here, the distance to the waterfall is approximately one mile and you should expect a gradual ascent along the way. 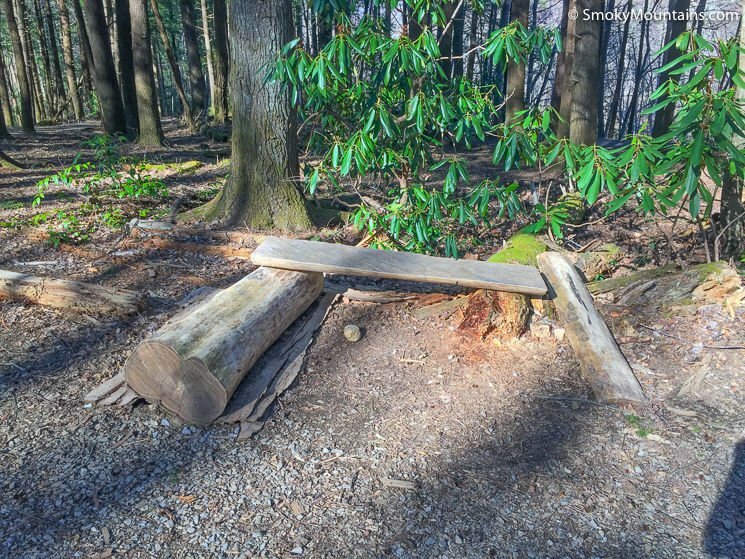 There is an unsettling single log footbridge that crosses over Porters Creek 1.6 miles from the trailhead. The combination of the height above Porters Creek and size of this small footbridge is guaranteed to have you gripping the handrail tight. 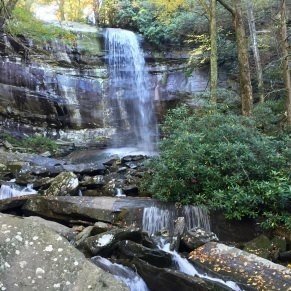 At the completion of the two-mile hike, you are rewarded with an incredible view of Fern Branch Falls. 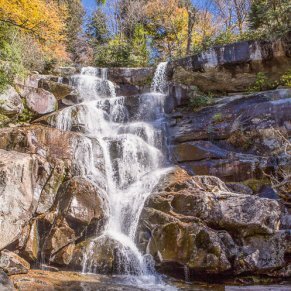 This waterfall, which is actually a series of cascades, is approximately forty feet tall. 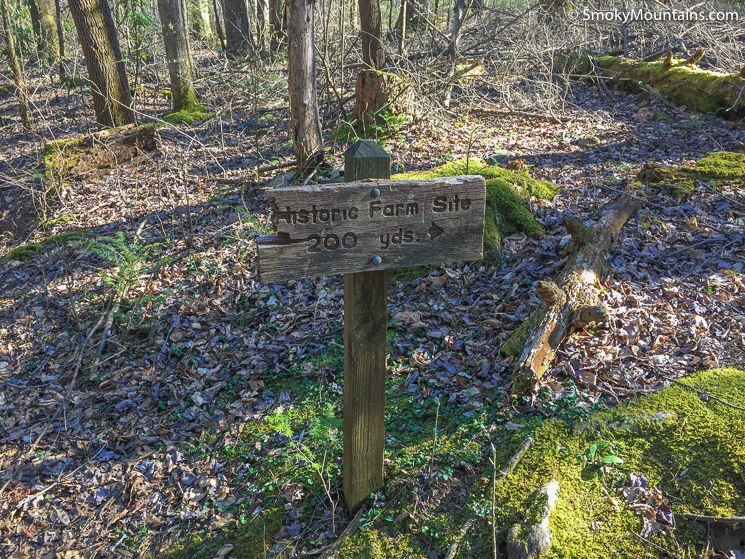 It was named for the mosses and ferns surrounding it and has an impressive boulder field at the bottom. 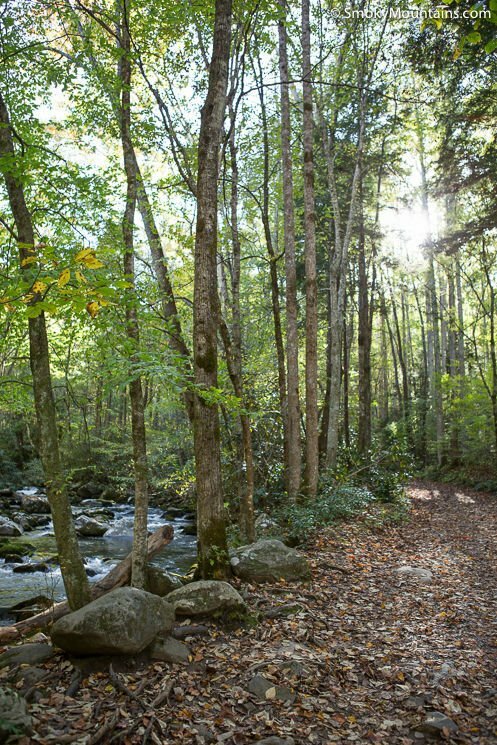 While Fern Branch Falls is the turnaround point for the majority of visitors, there is a trail that continues 1.7 miles to Backcountry Campsite 31 from here. 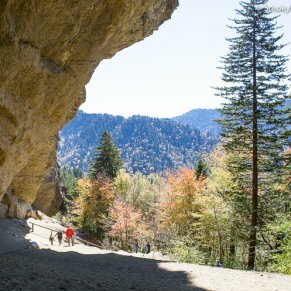 Although this hike is a local favorite and a good option all year long, spring offers spectacular wildflower viewing that is downright heavenly. 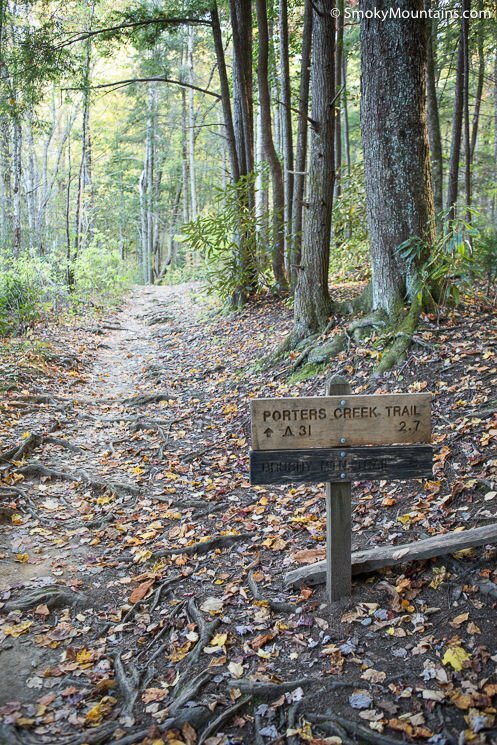 Porters Creek Trail is also the perfect trail when higher elevation trails are difficult to get to due to road closures. 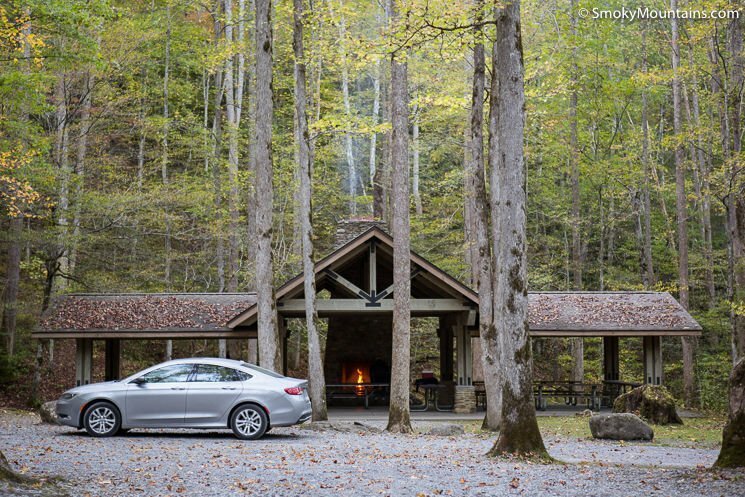 Hungry Bear BBQ on 321 near the park entrance is the perfect spot to pick up some good barbeque for a picnic lunch at one of the Greenbrier picnic areas. 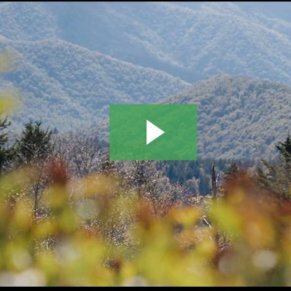 After making the turn off of 321 on Greenbrier Road, you will drive approximately 3.1 miles and reach a fork in the road. 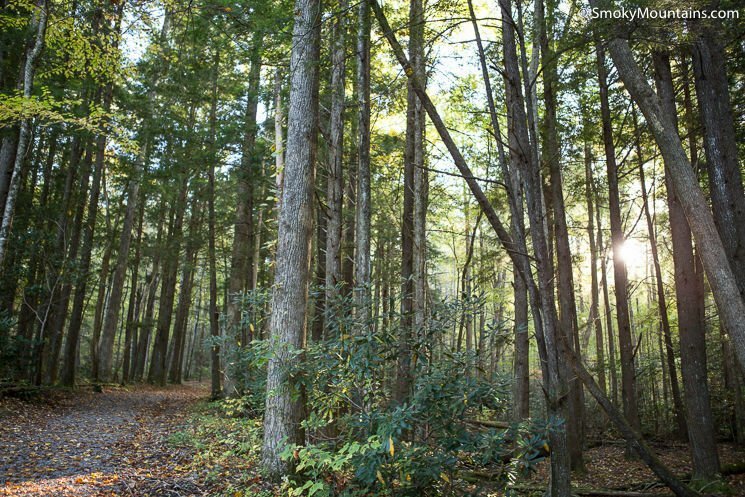 Keep right at the fork and continue approximately 0.9 miles to the parking area and trailhead.